It’s no secret that one of the easiest ways to change up your door décor. In fact, you can make a few for each season to freshen up your home on a whim. There are too many beautiful ideas to stick with one all season in my opinion. With these 15 awesome DIY door décor ideas for fall you are sure to find décor to fit your style. Mix it up throughout autumn with rustic, quirky, and glittery DIY’s for your door. Then don’t forget to link up your amazing posts at the Merry Monday link party! It doesn’t get much easier than this beautiful fall wreath. Make if fast and have your door beautified by lunch time. 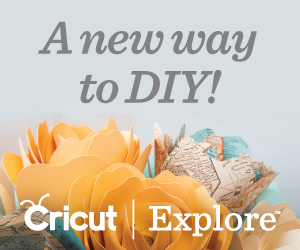 You can also go the rustic route with this gorgeous décor DIY from Cherished Bliss. Don’t discard those faded wreaths. Instead, give them new life with an easy spruce. Add a little sparkle to your door with this glittery wreath DIY! I’m a sucker for a great upcycle and this wreath definitely delivers. It will easily add some beautiful décor to your home. This wreath is absolutely gorgeous. It is the perfect addition to your fall front porch. Sometimes the simplest ideas can be the most beautiful, as is the case with this wheat wreath. Here is another gorgeous, glittery wreath. 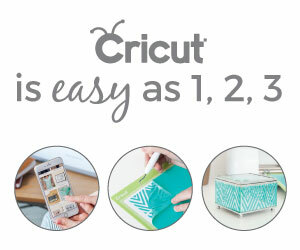 It is so pretty you will want one on every door in your home… and maybe a few windows too! A cornucopia is a staple of autumn and this wreath lets you rock that staple on your front door all season. This simple DIY wreath is absolutely stunning. Add some mums to your porch, like Emily does, to round out your outdoor autumn décor. Here is another great example of giving new life to an older piece that you love. Find out how she took a drab little cinnamon broom and turned it into a gorgeous piece of door décor. I love the simplicity of this wood slice wreath. It not only works for fall but would look great hanging on your door well into winter. This book page wreath is an example of a wreath so pretty you will want to display it inside your home so you can look at any time you want. Burlap is such a pretty addition to fall and this wreath makes it easy to incorporate into your fall décor. This wreath is a perfect new Thanksgiving tradition for your family. Add new leaves each year about what you are thankful for and watch it bloom fuller, year after year. Which one of these 15 awesome DIY door décor ideas for fall is your favorite? Any of them will look great on your door this season. Don’t forget that these wreaths look great in other areas of your home, too. Dress up your mantel and walls with them to create beautiful décor throughout your house. You can find more fall decor ideas and DIY’s on the Autumn Holidays Page. Now it is time to move on to the party. Share your awesomeness with us below at this week’s Merry Monday link party!